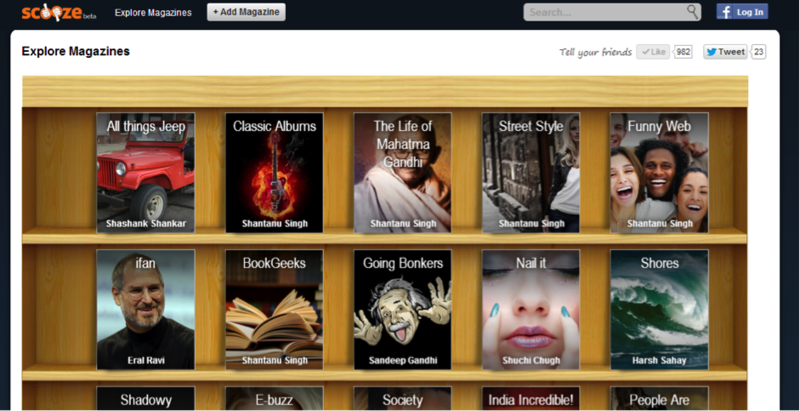 Here’s the story of Gurgaon based Scooze which helps you ‘Publish Your Voice’ by running your own web magazines on topics you love. Check them out on www.scooze. When Ravi, Shashank and I teamed up – in late 2011 – the world was still in doldrums after the 2008 economic crash. We’d all seen job cuts, hiring slashes, salary freezes, etc. at our corporate jobs. It was pretty clear that our world was changing! We saw that, more and more, things like job stability, long-term employment, pedigree degrees, etc. have become relics of the past. In the new world, success depends on your ability to carve a strong identity – a ‘personal brand’ – for yourself. It’s not so much about your degrees, your college or your designation anymore, but whether you’re known, credible and influential within the communities you’re a part of. So if people need to build their influence and credibility, we figured there’ll be an opportunity for tools that help with this. The success of Twitter seemed to validate that a market existed for such tools. That’s how the idea of Scooze and ‘Publish Your Voice’ (our tagline) was born! We launched the first (‘Alpha’) avatar of Scooze in end-Jan 2013. The concept and design have evolved continually since then (we’re currently at ‘Charlie’). In its new avatar, Scooze is a tool which helps you ‘Publish Your Voice’ by running your own web magazines on topics you love. How did the co-founders come together? Ravi and I have been friends since we were 10 years old – literally ‘chaddi-buddies’. As many friends do, we used to meet up every weekend and dream about starting up. Mostly, such things fizzle out, but we were serious and started evaluating various opportunities and ideas. However, we needed a tech co-founder! Around that time, Shashank had come back from Deloitte in the US and was thinking about getting back to the corporate world. I met him through a common friend and he asked if I could refer him for tech roles at Accenture. Instead, I asked him if he was interested in starting up. Shashank jumped at the idea and the 3 of us have been together since then. In some ways, a startup is all about anticipating, meeting and dealing with challenges every day of every week. These are the key challenges we’ve faced in each stage of our journey. 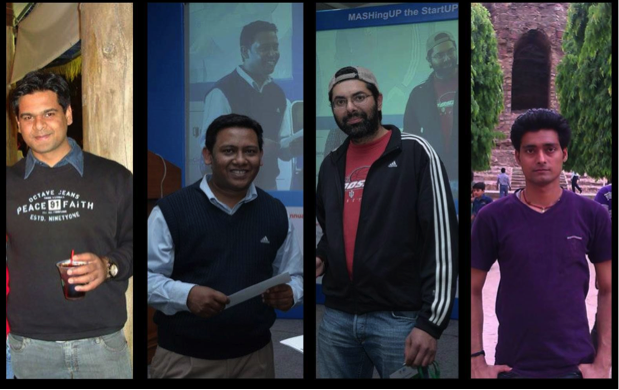 Starting Up: Balancing startup and family: Shashank, Ravi and I are all married and Ravi has a 4 year old daughter too. Even before we started up, we realized it wouldn’t always be easy to balance a startup life with personal responsibilities. Therefore, each of us made sure that our family was fully bought in and would stand with us as we took the plunge. Developing the Product: Building (and hiring) key skills within the team: Since we were first timers, we felt we needed some help to design and develop the product. Initially, we teamed up with 3rd party tech and web-design partners to build out the first version. However, we quickly figured that it helps speed, flexibility and cash flow to have all key skills within the team. Therefore, what we didn’t know, we learnt. Whatever little we couldn’t learn, we hired. I’m proud that Scooze is now entirely designed and built in-house. We want to be the platform of choice for people who want to become opinion leaders and multiply their influence. Our vision is to empower individuals with the same power and influence that big media houses command now. In some ways, what AirBnB did to Hotel bookings, we want to do to online magazines. Here’s a quick list of our top 5 ‘mantras’ at Scooze. Incidentally, we’ve also got these framed up and put up on the wall of our office! Life is short. Build stuff that matters. We’d move faster and launch more quickly. We’d sell harder. We’d conserve our cash better. Previous Previous post: What is the important distinction between listening to what focus groups say and watching what your customers do? Next Next post: Is it better to launch a product and then seek funding or should you get funding based on prototypes and business plan first and then launch?